Although extensions and home transformations cost money upfront, they can add significant value to a property, and make you feel like you are living in a new home. Homeowners can also increase their homes energy efficiency – incorporating different energy saving products into their plans. You can help increase the energy efficiency of your home dramtically, when a Low-emissivity (low-e) glass such as Pilkington K Glass™ is used as the inner pane of a the double glazed unit. 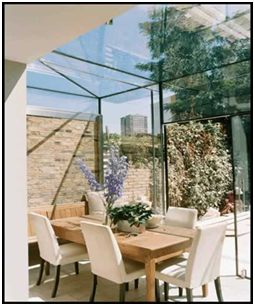 A low-e glass is designed to reflect heat back into a building, therefore greatly improving its thermal efficiency, whilst also maximizing available heat from the sun. By using less heat in the home, less energy needs to be produced – thus helping to lower the overall levels of greenhouse gases. Combining Pilkington K Glass™ with both a self-cleaning glass and a solar control glass, such as Pilkington Activ™ Blue, helps to regulate temperature, creating an environment which can be used throughout the year. The outer pane of glass is the ideal solution for large glazed areas such as conservatories, orangery roofs or “glass box” extensions. 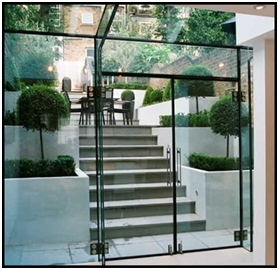 By adding glazing to a property it will brighten up spaces and improve the quality of dull tired looking homes. Another advantage is helping homeowners create a dream home – without having to start from scratch. 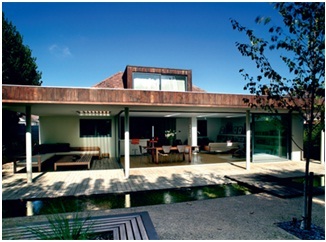 For a modern extension idea, try extending out into the garden – for a drastic solution that really brings the outside element in; remove the entire back wall of your domestic property and replace it with glass. Whether you choose a glazed sliding door, a glass partition, or even an entire glass box extension – the internal layout of your property will be instantly transformed, flooding light in. 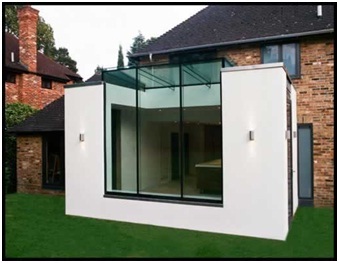 Glass box extensions are great for upgrading kitchen spaces, dining areas or living rooms – giving a feeling of sitting in your garden whilst being protected from the elements. For more information on any of our products, please visit our official website.